We install appliances, and we repair them too. 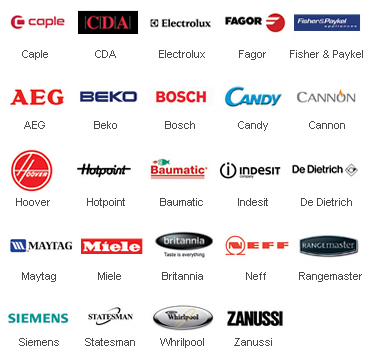 Admiral Appliances, AEG Domestic Appliances, AGA Appliances,Air Uno Cooker Hoods, Alpes Inox, Amana Domestic Appliances, Amica Wronki Domestic Appliances, Antonio Meireles Appliances, Antonio Merloni Domestic Appliances, Antony Worrall Thompson Appliances, Apelson Appliances, Appliance 365, Arda Appliances, Ardo Appliances, Ariston Domestic Appliances, Arrow Domestic Appliances, ART Appliances, Arthur Martin Domestic Appliances, Asko Domestic Appliances, Aspes Domestic Appliances, Atag Appliances, Atlant Appliances, Aztec Domestic Appliances, Balay Appliances, Bauknecht Domestic Appliances, Baumatic Domestic Appliances, Beko Domestic Appliances, Belling Domestic Appliances, Bertazzoni Cooking, Best SpA Cooker Hoods, Blanco Domestic Appliances, Blomberg Domestic Appliances, Bompani Domestic Appliances, Bosch Domestic Appliances Group, Brandt Domestic Appliances, Britannia Domestic Appliances, Bush Appliances, Butler Domestic Appliances, Candy Domestic Appliances, Cannon Cooking Appliances, Caple Kitchen Appliances, Cata Electrodomesticos, CDA Domestic Appliances, Celsus Appliances, Cooke & Lewis Appliances, Cookers Appliances, Cookworks Appliances, Creda Domestic Appliances, Crosslee Appliances, Cuisina Domestic Appliances, Daewoo Appliances, De Dietrich Domestic Appliances, Delonghi Appliances, Diplomat Domestic Appliances, Dyson Domestic Appliances, E Caumartin Range Cookers, Ebac Appliances, Elba Cookers, Electriq Appliances, Electrolux Domestic Appliance Group, Elica Cooker Hoods, Esse, Essentials Appliances, Eurolec Appliances, Fagor Electrodomesticos Appliances, Falcon Appliances, Falmec, Finlux Appliances, Firenzi Appliances, Fisher & Paykel Domestic Appliances, Flavel Cookers, Foster Spa, Franke Domestic Appliances, Fratelli Onofri Cooking Appliances, Fridgemaster, Frigidaire Domestic Appliances, Gaggenau Appliances, Galanz, General Electric Domestic Appliances, Glen Dimplex Home Appliances, Gorenje Domestic Appliances, Grundig Home Appliances, Hafele Appliances, Haier Domestic, Appliances, Haus Appliances, HEC Appliances, Hisense Kelon, Holme Appliances, Homark Domestic Appliances, Hoover Domestic Appliances, Hotpoint Domestic Appliances, Hygena Kitchen Appliances, Iceking, Ignis Appliances, Ikea Appliances, Ilve Appliances, Indesit Company, ISE Appliances, Isis Appliances, John Lewis Appliances, Kelvinator Appliances, Kenwood Appliances, KitchenAid Appliances, Kompact Domestic Appliances, Kuppersbusch Appliances, La Germania, Lacanche Range Cookers, Lamona Appliances, Laurus Appliances, LEC Refrigeration, Leisure Cookers, LG Domestic Appliances, Liebherr Refrigeration, Lofra Domestic Appliances, Logik Appliances, Luxair Cooker Hoods, Luxor Appliances, Maan Appliances, Matrix Appliances, Matsui Appliances, Maytag Appliances, Meneghitti Appliances, Mercury Range Cookers, Mertz Appliances, Miele Domestic Appliances, Millar Appliances, Montpellier Appliances, My Appliances, Nardi Appliances, Necht Domestic Appliances, Neff Kitchen Appliances, New World Domestic Appliances, Next Appliances, Norcool Refrigeration, NordMende Appliances, Norfrost Refrigeration, OneConcept Appliances, Panasonic Appliances, Philco Domestic Appliances, Polar Queen Refrigeration, Premier Range, Premium Appliance Brands Limited, Prima Appliances, ProAction Appliances, Proline Domestic Appliances, Rangecookers Cookers, Rangemaster, Rosieres Domestic Appliances, Royale Appliances, Russell Hobbs Appliances, Samsha Appliances, Samsung Domestic Appliances, Sandstrom Washing Machines, Sebo Vacuum Cleaners, Servis UK Domestic Appliances, Sharp Appliances, SIA Appliances, Siemens Domestic Appliances, Siltal Appliances, Simfer Appliances, Smeg Domestic Appliances, Solartronic Range Cookers, Sovereign Appliances, Statesman Appliances, Steel Cuisine, Stoves Domestic Appliances, Sub Zero Refrigeration, Swan Appliances, Techwood Appliances, Tecnik Domestic Appliances, Tecnolec Appliances, Tecnowind Cooker Hoods, Teka Appliances, Teknix Appliances, Terim Cookers, Tesco Appliances, Thomson Twin Tubs, Titan Washing Machine, Tricity Bendix Domestic Appliances, Turboair Cooker Hoods, Univa Fridge Freezers, V-Zug Appliances, Verona Domestic Appliances, Vestel Appliances, Vestfrost Refrigeration, Viceroy Appliances, Viking Appliances, Viscount Appliances, Viva Appliances, Westahl Range Cookers, Whirlpool Domestic Appliances, White Knight Domestic Appliances, White Westinghouse Domestic Appliances, Wolf Cooking Appliances, Wrighton Domestic Appliances, Zanussi Domestic Appliances. 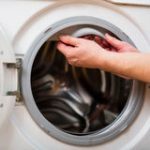 Competent at installing appliances, white goods, washing machines, dishwashers, coffee machines, hot water taps. 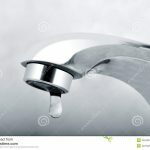 If you are having problems with leaks or drips then we can help, or if you need new or additional taps fitting we can do that too, from garden taps to zip taps. 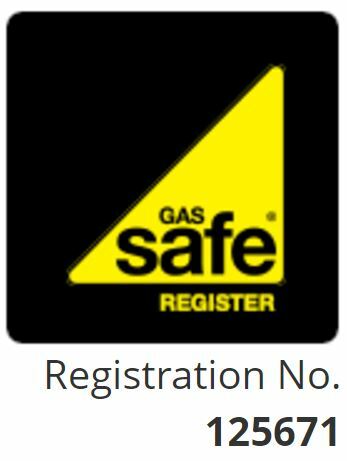 We are Gas Safe accredited and can look after all of your gas appliance maintenance needs.